How to remove dark circles under eyes? Learn more about it. In a youthful face the periorbital region is full of volume and the eyelid skin is toned. The muscles and skin around the eyes are thin and should be treated gently. It is very important to moisturise the skin with a good eye cream from an early age and to avoid heavy make-up, which irritates the skin. It is also very important to wear sunglasses or corrective lenses to avoid squinting from the sun or from difficulty in seeing. Sun damage also increases wrinkles. The first signs of ageing are wrinkles around the eyes and bags/ dark circles under the eyes. Wrinkles at the corners of the eyes (crow’s feet) or between the eyebrows (frown lines) are thought to be caused by small muscle contractions. Over a lifetime, habitual facial expressions like frowning, smiling or squinting leave their mark on our skin. 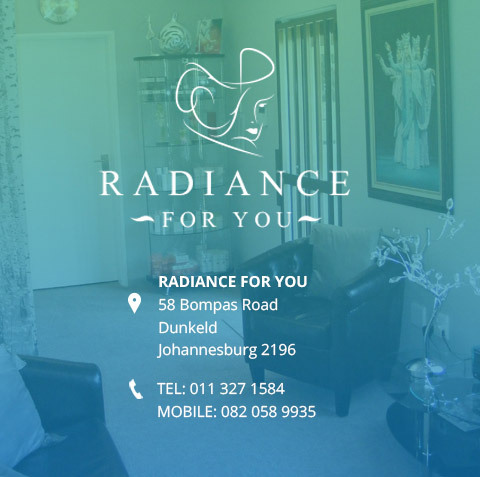 We will always consult with our clients to ensure that we treat them in a way that meets their requirements but helps them to look natural at the same time. For wrinkle forming prevention and treatment we offer Botulinum Toxin A injections or combination treatment with Laser/Light and Radio Frequency therapy, Injectable fillers, and Mesotherapy depending on the severity of the lines. Dark circles and bags under the eyes are a common complaint and make one look tired and stressed. As people age the skin around eyes becomes thinner and collagen is lost. The thin skin loses elasticity and bags under the eyes are formed. The skin becomes darker around the eyes because of natural pigments under the skin. Red blood cells leak through small capillaries and break down the hemosiderin around the eyes and the blood oxidizes and dark circles appear. To treat this we offer one or combinations of treatments, like Laser/Light and Radio Frequency therapy, Mesotherapy or Meso-needling, and/or Injectable fillers. With prominent bags or skin laxity the treatment with Botulinum Toxin A is not recommended.